Green leaves make the energy the plant needs to live. 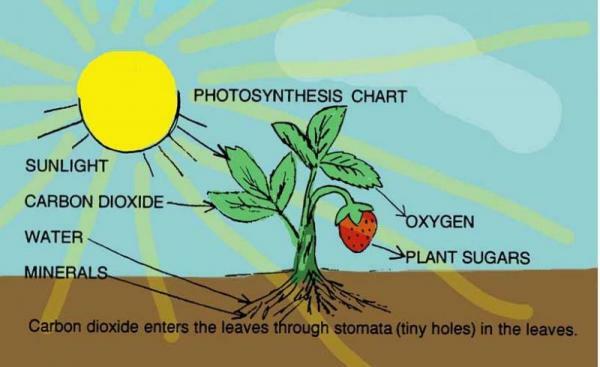 Water and minerals come from the soil, through the roots; carbon dioxide from the air and sunlight from the sun,through the leaves. All these elements are transformed into energy(in the form of glucose or sugar), the food the plants needs to grow and reproduce. At the end of photosynthesis oxygen is released (liberated, set free).